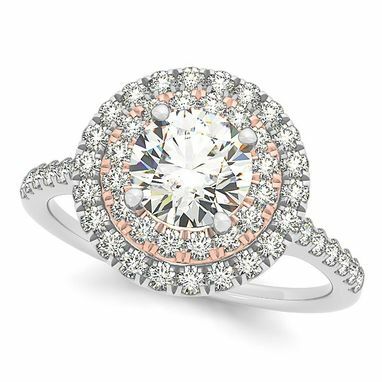 This round diamond, double halo engagement ring is set in a 14k white gold cathedral setting with a circle of pink gold within the first halo. 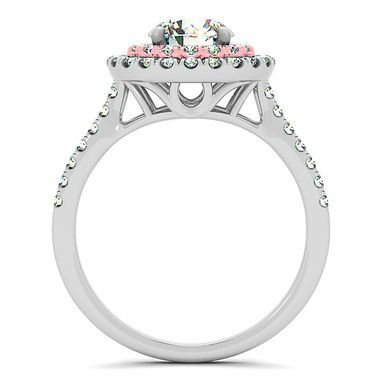 This unique, two tone gold diamond proposal ring features two halo's of diamonds around a stunning preset center stone, with additional diamonds accenting the ring's shank. 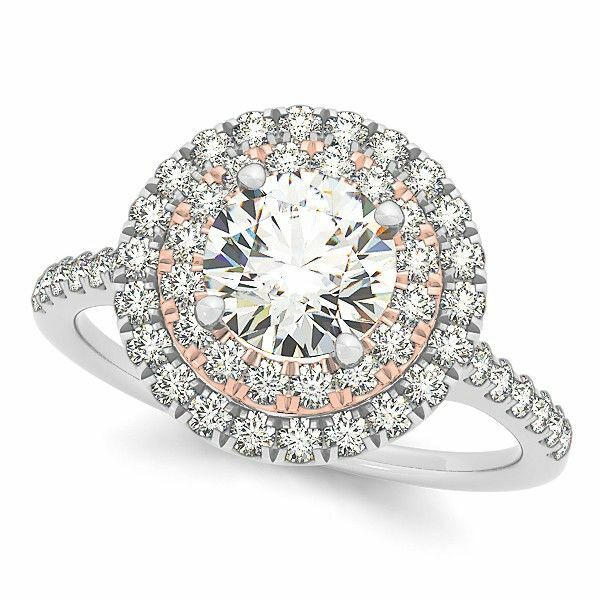 With a total of approximately 1.38 carats of hand chosen, conflict free stones, this double halo diamond engagement ring is sure to mesmerize. Below options are worked into the $5565 price.